The Lake Tahoe area spreads across two states and four counties, with a large number of towns, although most are small and some have no lodging at all. People tend to refer to areas around the lake by direction rather than state or county. That's how we've organized the Lake Tahoe hotels section below. The lake sits in a "bowl" surrounded by mountains. "Outside the bowl," it's a little easier to do new development and you'll find some nice places to stay, but the trade-off is no view of the lake. Some online reservation services will include everything around the lake when you search for Lake Tahoe hotels, but at others, you may have to enter town names individually. They're listed below according to the area they're in. A map may also help narrow your Lake Tahoe hotels search. Try this map to get an idea of where everything is and what's close to what. You'll need more than just a place to stay. Take a look at things to do for a summer weekend getaway. Each state and county has their own set of laws and taxes. Tax on Lake Tahoe hotels varies by location, between 10% and 14%. North Lake Tahoe Hotels: Tahoe Vista, Kings Beach, Crystal Bay and Incline Village are convenient to the north Tahoe ski resorts Northstar, Diamond Peak and Mt. Rose. You won't find many big hotels or fancy restaurants here, but a lot of people like the "Old Tahoe" atmosphere. Incline Village is your best choice if you're going to the Tahoe Shakespeare Festival. 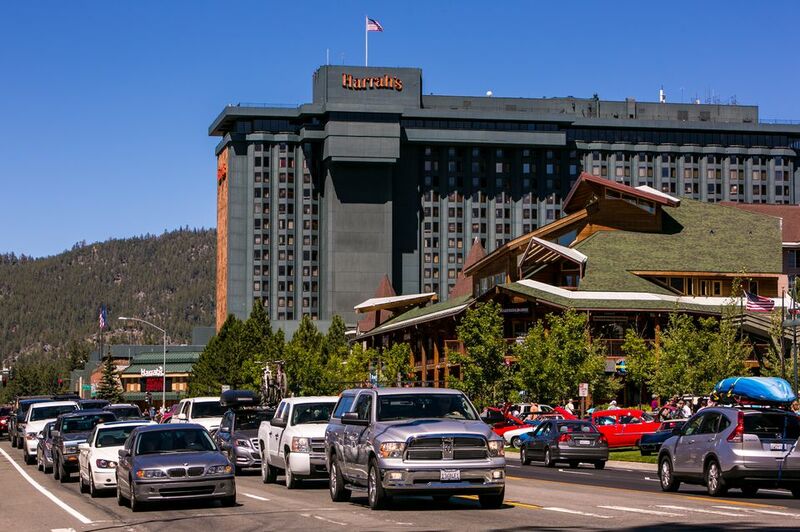 West Lake Tahoe Hotels: Tahoe City, CA is a good winter ski center if you're going to Squaw Valley, Alpine Meadows or Homewood and in summer it's the place to go for rafting on the Truckee River. Squaw Valley: Outside the bowl, but not too far away from the lake. Although the place is called Squaw Valley, the town it's in is Olympic Valley, CA. The Squaw Valley website will give you all the reasons for sticking around the valley to ski or play. South Lake Tahoe Hotels: South Lake Tahoe, CA and the towns of Stateline and Zephyr Cove, NV offer more to do, with a larger concentration of shops, restaurants and casinos than other parts of the lake. The trade-off is bad traffic congestion, especially in summer. Kirkwood and Sierra at Tahoe ski resorts are nearby and Heavenly is almost in the middle of town. Truckee, NV: Located north of the lake and just off I-80. In the winter, Truckee is a center for a bunch of nearby snow play areas. East Lake Tahoe Hotels: We'll mention it so you don't think we made a mistake, but the area between Incline Village and Stateline, Nevada is reserved for recreation. Once you've picked a few good candidates for your trip, apply all the best tricks to get the lowest possible rate. Bed and breakfast inns are a nice change of pace, but they can be hard to find without spending countless hours going through their websites. Pick the area you want to stay in first, then look for B&Bs nearby at Bedandbreakfast.com, which gives you a handy place to check on many of them at once.